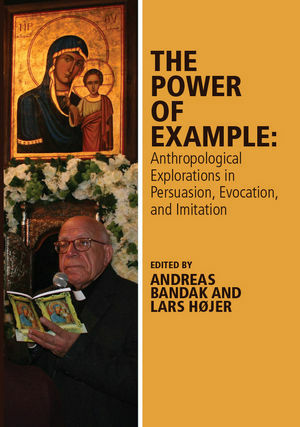 The Power of Example is an interdisciplinary examination of the integral role that examples and exemplification play in anthropological theory and practice. Andreas Bandak is an Assistant Professor in the Department of Cross-Cultural and Regional Studies at the University of Copenhagen. Co-editor of Qualitative Analysis in the Making (with Daniella Kuzmanovic, 2014), Dr. Bandak has published articles in an array of prestigious peer-reviewed journals, including Current Anthropology, Ethnos, and Religion and Society. His research focuses on Christian minorities in Syria, where he has done extensive fieldwork in and around Damascus, and he is currently working on effects of the Syrian conflict in Lebanon. Lars Højer is an Associate Professor in the Department of Cross-Cultural and Regional Studies at the University of Copenhagen. He is the project leader of ‘Escalations: A Comparative Ethnographic Study of Accelerating Change’, a three-year project funded by the Danish Council for the Independent Research│Humanities that includes Dr. Højer’s own research on the social, economic, religious,and political aspects of transition processes in urban and rural post-socialist Mongolia. He has published in a number of prominent peer-reviewed journals, including Journal of the Royal Anthropological Institute, Ethnos and Social Anthropology.